Have you missed me? I hope you have. I am finally starting to feel normal. The elephant that was sitting on my chest is gone. I can finally get back to cooking and crafting. I did get to make some bunny bags for Easter while I was sick. And I did get to cook a couple of times. I cooked a Pot-a-Feu because it was just simmering meat and veggies. Something simple to to make but so good. 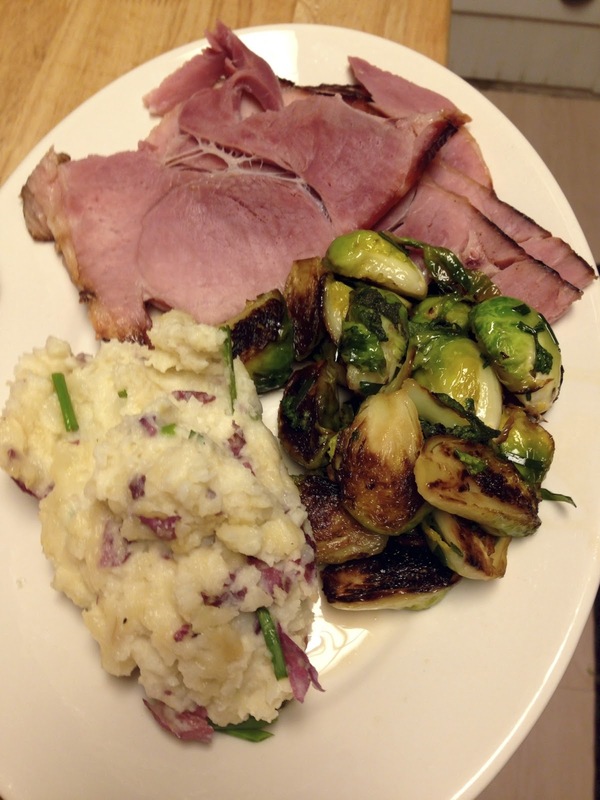 I also made Easter dinner which was a ham, brussels sprouts, and garlic mashed potatoes. Since I have been gone for so long, I thought I would share my spaghetti recipe. It is a favorite in this house. I hope you enjoy it. 1. Heat a little a bit of oil in a large Dutch oven over medium heat. 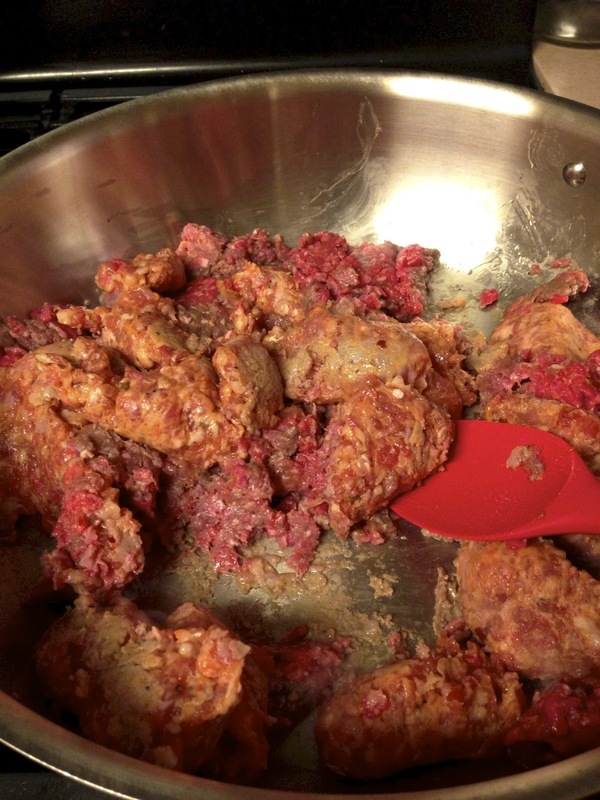 Add beef and Italian sausage. Brown beef and Italian sausage, breaking up as you stir. 2. 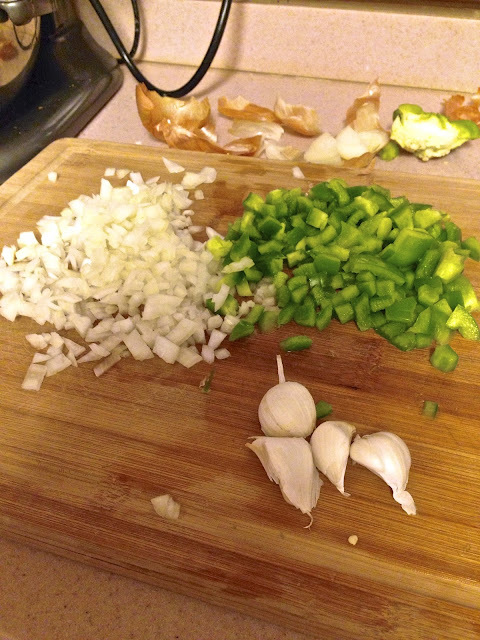 Add onions, green pepper and garlic and cook until onion are translucent and pepper is soft. 3. Add the red wine, stirring to deglaze the pan. 5. Add tomatoes, tomato paste, tomato sauce and water. 7. 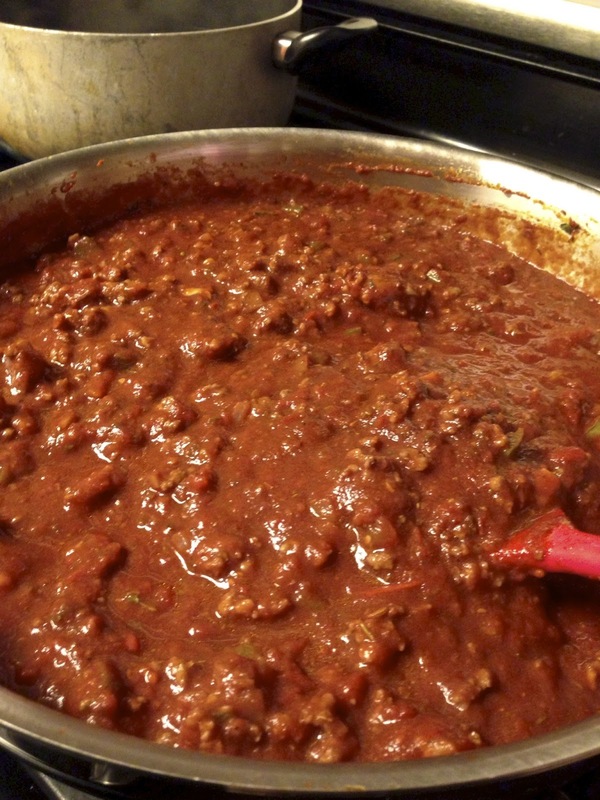 Bring to a simmer and reduce heat to the lowest possible setting. 8. Simmer, stirring frequently for 2 hours. Watch it so it won't burn. 9. Cook spaghetti according to package directions. 10. Taste for seasoning and add more salt if necessary. 11. Spoon sauce over drained spaghetti noodles and sprinkle with parmesan cheese and fresh basil. Before I go I would like to tell you about Addison's April Fool's joke he played on me yesterday. He asked me if he could cut an apple. He went into the kitchen cut an apple and then all of sudden yelled MOM. He ran up to me and showed me his hand. 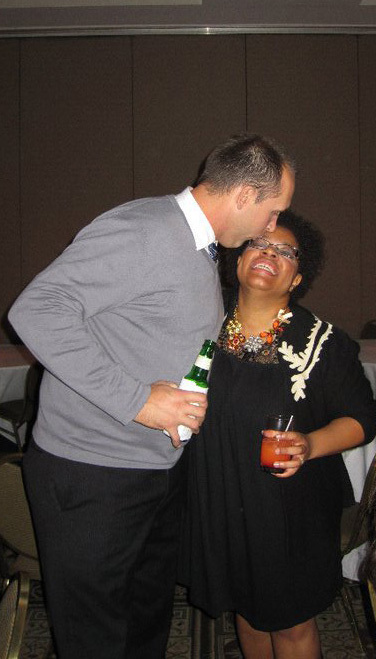 Yes, he totally freaked me out. He was in the kitchen planning this the whole time. Putting food coloring on his finger and then cutting the apple. He is a little stinker but we did get a good laugh out of it after I realized wasn't real. Well, it's great to be back. Talk to you soon. 1 comment on "Back to Normal"
Thanks for the recipe.. I can see why your spaghetti taste so good.. 3 lbs of meat... yumm. Why wasn't I invited this time? I am glad you're feeling better. I was starting to worry. Watch out for Addy, he may become the next Alfred Hitchcock. He is pretty creative.